Must see places in Istanbul – Part 1 | Do You Know Turkey | Turkish Tv Series & Drama, Turkish celebrities, travel information about Turkey and Turkish cusine. İstanbul is a wonderful city with many attractions including great natural wonders like the Bosphorus, ancient temples, great museums and lots of sights. If you are planning to visit İstanbul, you’ll enjoy our list. Coordinates will be given as Google Maps link, if you are using Evernote style note app or other bookmark for offline use, you may copy this page and find your way with your mobile device as long as you’ve installed an offline İstanbul map or cache İstanbul map in Google Maps. Basilica Cistern is not just a water supply facility, it is one of the most exciting historical places of the Byzantium era. The architecture and the art which included in the columns makes Basilica Cistern one of the most exotic places in İstanbul. The Medusa(upside down headed) and the marks on columns which represents the slaves lost in the construction of the cistern are unique artworks. Hagia Sophia is probably one of the world’s wonders both as a temple and also as a construction miracle with its record breaking dome with 32 meters radius. It has wonderful tiles, christian paintings and great marble works inside the temple. It was built to show Byzantium’s power and pride. In Ottoman era, Hagia Sophia transformed to a mosque(Aya Sofya) and after the collapse of the empire, new Turkish state transformed Hagia Sophia to a museum. If you like historical wonders, Hagia Sophia is a definitely must see place for you. Once upon a time, an emipre ruling to three continets and has all the power on Mediterranian, was ruled from this palace. The palace witnessed Ottoman Empire’s golden age, has lots of rooms, meeting halls. It’s armory consists lots of important weapons of historical figures of many nations. Also the palace exhibits prophet Mohammed’s relics, his beard and cardigan. Sultan Ahmet Mosque (Blue Mosque) was built to show Ottoman Empire’s power and religious impact. It was just build just across the Hagia Sophia to compete the arcitectural capabilities of the Empire against Byzantium. It has a great inner atmosphere and dome painted with Islamic arts. İstanbul Archeological Museums include three main parts: The Archaeological Museum, the Ancient Orient Museum (Eski Şark Eserleri Müzesi) and Tiled Kiosk Museum (Çinili Köşk Müzesi). Ancient Orient Museum (Eski Şark Eserleri Müzesi) has historical artifacts from Egyptian Mummies to Babil Lions to Persian statues. Tiled Kiosk Museum (Çinili Köşk Müzesi) includes wonderful tile work from Ottoman period. Dolmabahçe Palace is the pearl of architecture. Great patterns, great marble work, amazing furnitures, great atmosphere near the Bosphorus. Don’t forget to drink a cup of coffee against the Bosphorus on its front side. One of the most romantic place in İstanbul. Its building stroy is also romantic, Roman Empire ordered to build it to keep her daughter away from her lover. The tower was built-in sea, in the middle of Bosphorus. You may go from Üsküdar with boat. It’s 5 mins away from the shore and the two-way ticket is about 10 Turkish Liras. Also there is a great restourant inside the tower. But as a special restorurant the prices is a bit be high for a full dinner. Grand Bazaar represents the old soul of oriental cities, and it is the most exotic place in İstanbul. As you may understand from its name, it is a very great closed bazaar. It is a famous place, lots of movies shot there including James Bond movies. Galata Tower is one of the icons of İstanbul. Great view will feel your heart with mixed emotions. Sunset is great from there. The tower has also a night programme, mostly Turkish nights with belly dancers. Also the area of the tower is great, lots of cafe’s, bars, oriental shops. Also there are lots of hostels in this area. It is a central point so prefered due to this reason. The Sultanahmet area is the most amazing place I’ve ever been to. 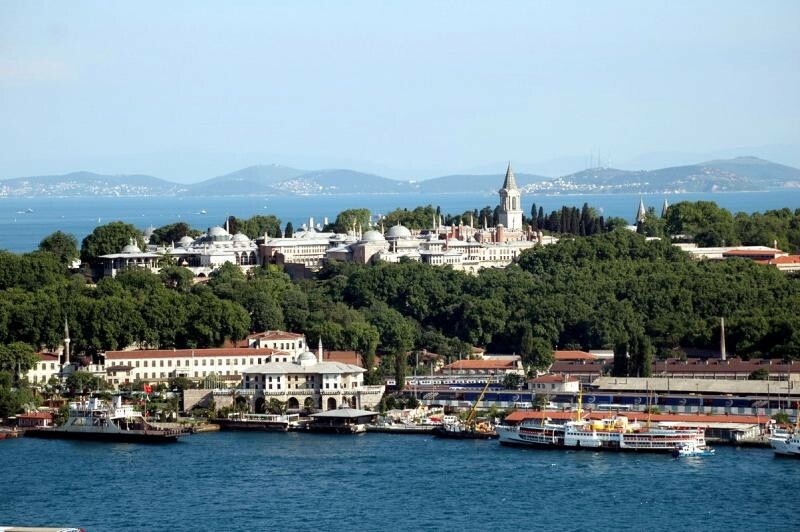 The Hagia Sophia and Blue Mosque face each other, and the amazing Topkapi palace is just a short stroll away. Getting a Müzekart+ museum card was the best thing I ever did.